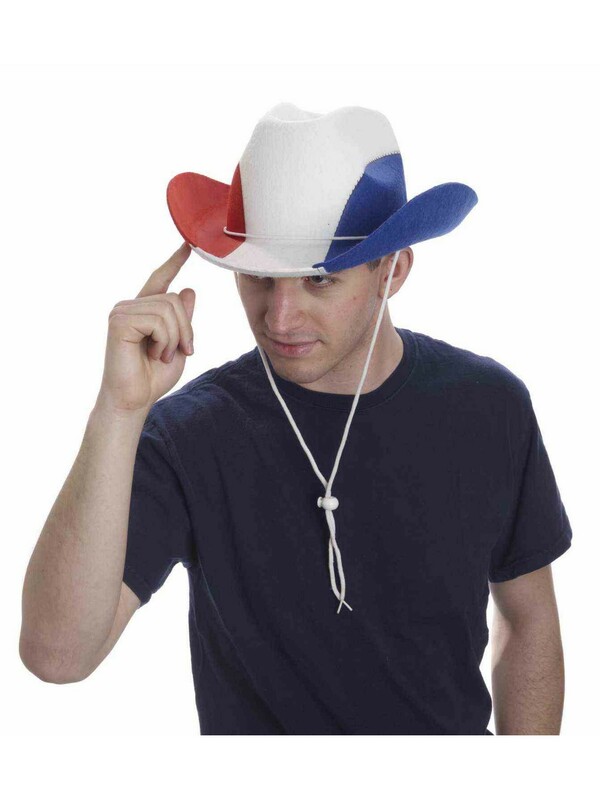 Make a patriotic statement in the Adult Red, White, & Blue Cowboy Hat! When you wear this eye-catching red, white, and blue cowboy hat, everyone will know how much you love America. When you show up to the Fourth of July barbecue in this amazing hat, you’re sure to be the most popular guest there!